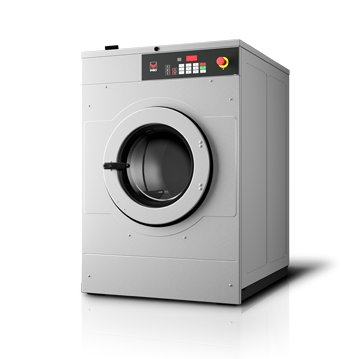 is a commercial dryer that has been durably constructed and extensively tested to ensure optimal performance. 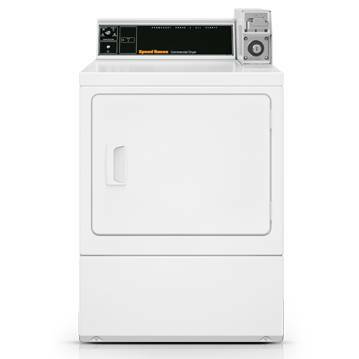 An updated suspension and new sensing technologies powerfully combine to redistribute loads and maintain cycle times — resulting in less utility costs and shorter wait times. 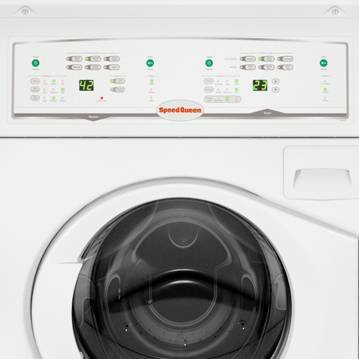 Increased spin speed exerts high G-Force to maximize mois- ture removal and lower drying times, getting customers in and out of your store faster and ensuring they leave satisfied. 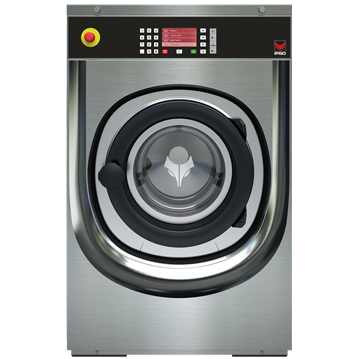 Huebsch dryers offer a 7.0 cu. 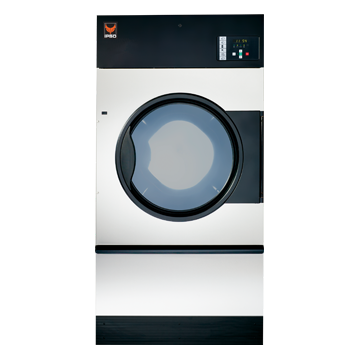 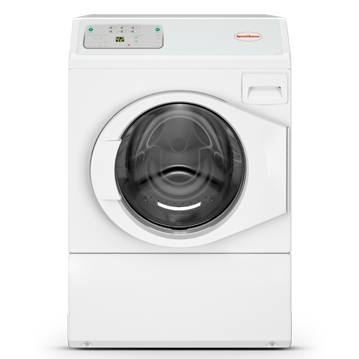 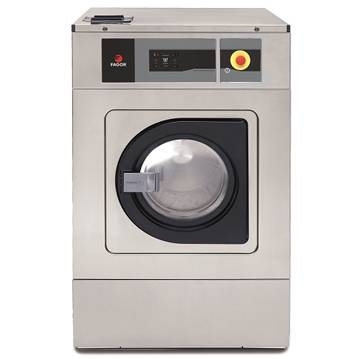 ft. cylinder with an 18 lb ca- pacity offers ample space for large loads to tumble and pro- duce fast drying times, while lowering utility consumption. 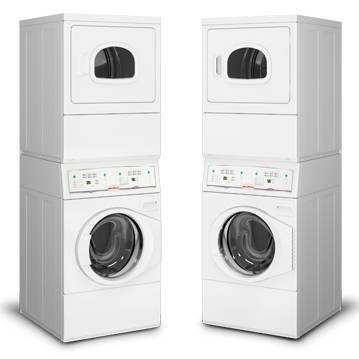 a stand-alone washer and dryer pair in the space of one machine. 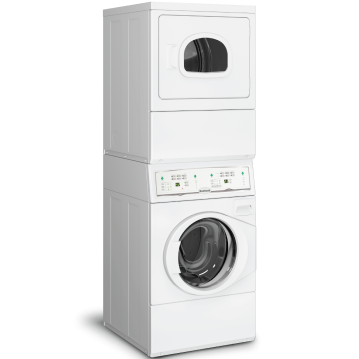 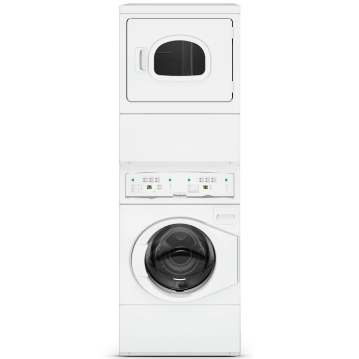 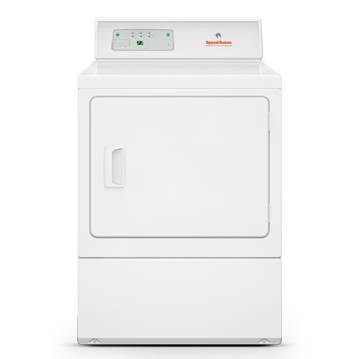 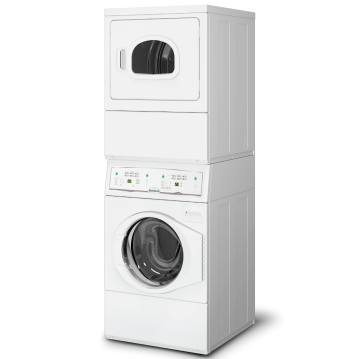 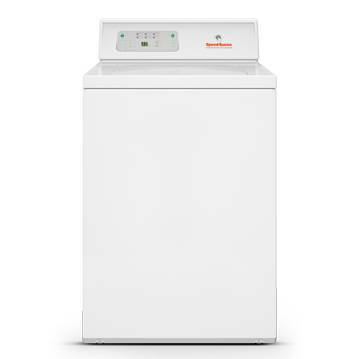 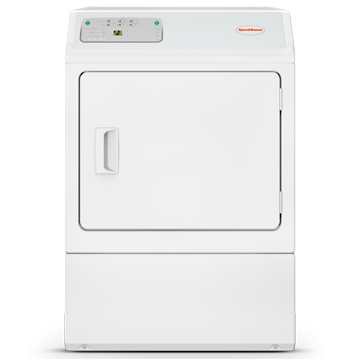 The stack utilizes all the same connections as a standard washer and dryer, so there are no special hookups required. 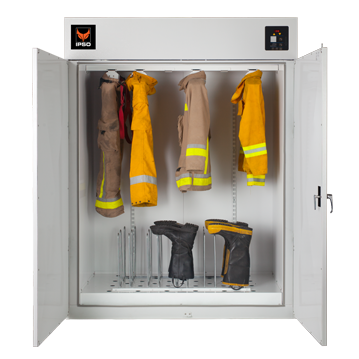 our Ripon, WI headquarters. 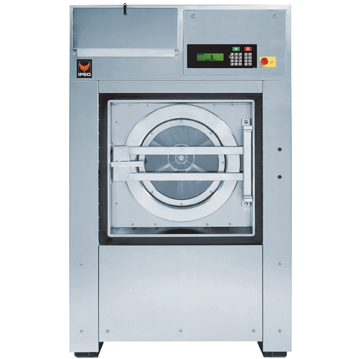 The entire machine receives Huebsch’s standard three-year warranty. 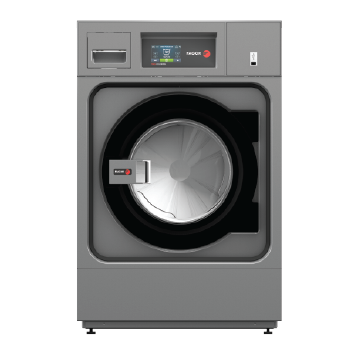 In addition, Huebsch has more service representatives in the field than most brands have in their whole organization. 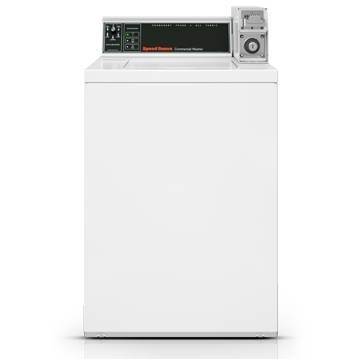 The Electronic Homestyle Control features a time-remain- ing display, six preset cycle buttons for both the washer and dryer, cycle adjustability, additional wash cycle options, cycle status indicator lights and moisture level indicator lights on the dryer.